"Florence" Cameo necklaces are designed and created by Bimonte Sorrento. 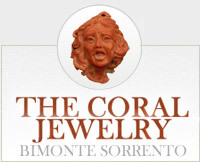 Each piece has the "BimonteSorrento" Stamp and each cameo is furnished with certificate of authenticity. Oxidized sterling silver chains available in : 16 , 18 , 20 , 22 and 24 inches.